"The goal? To relocate humanity to another planet and avoid extinction." 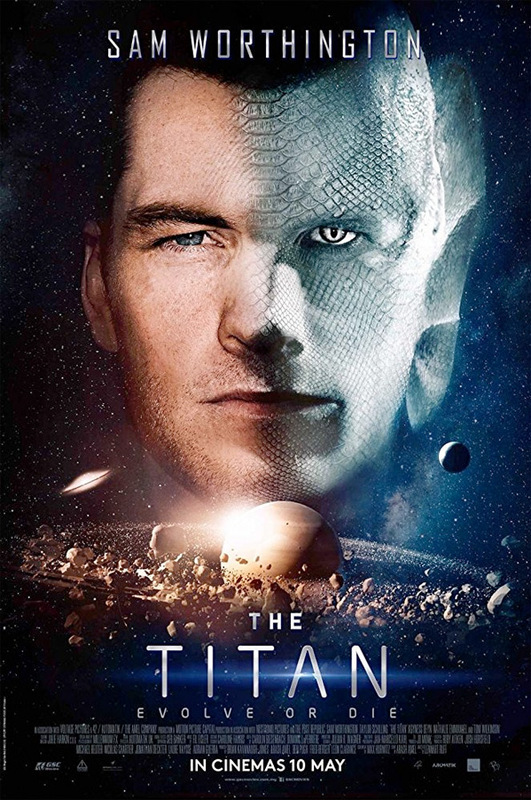 Netflix has debuted a new official trailer for the weird sci-fi action film titled The Titan, starring Sam Worthington. Set in the near future, the plot is about a military program to develop superhumans called "Titans" to help us colonize Saturn's moon Titan, but the side effects are deadly. Worthington plays a hot shot Air Force pilot who becomes the first successful Titan creation, but things start to go dangerously awry as time goes on. The full cast includes Taylor Schilling, Tom Wilkinson, Agyness Deyn, Nathalie Emmanuel, and Corey Johnson. This trailer is thankfully better than the first trailer, but this still just looks so frickin' weird, and they don't even show him in his fully finished alien form by the end. I don't even know if I want to watch this? Does anyone? You can still watch the first international trailer for The Titan here, to see a more bit footage from this. A military family takes part in a ground-breaking experiment of genetic evolution and space exploration. Hotshot Air Force pilot, Rick Janssen (Worthington), is chosen for a military experiment that will create a human being capable of surviving the harsh environments of Saturn's moon, Titan. The experiment is successful, turning Rick into a super-human, but it also creates deadly side-effects which threatens the life of Rick, his wife and family, and possibly humanity itself. The Titan is directed by German filmmaker Lennart Ruff, making his feature directorial debut after a few short films previously. The screenplay is written by Max Hurwitz, from a story by Arash Amel. This just premiered at the Gerardmer Fantastic Film Festival this month. Netflix will release The Titan streaming starting on March 30th. Who's still into this?